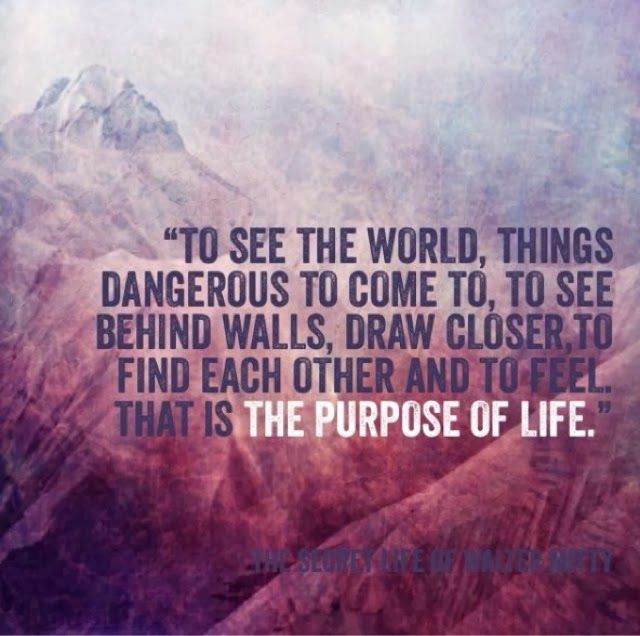 Last night I watched the film, “The Secret Life of Walter Mitty,” a story about a man who gave up his day dreaming and embarked on adventures he once only imagined. I think sometimes we see ourselves doing something remarkable, but we let fear and the opinions of others keep us from going on our big adventure. In reality, we don’t all have the luxury of leaving our day jobs like Mitty to become an adventurous adrenaline junkie, but I like the message of doing rather than just dreaming. And this could relate to our fitness, health, career or even relationship goals!